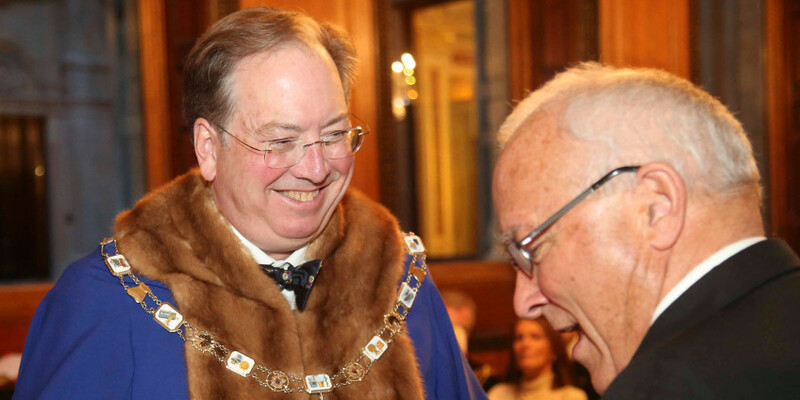 Alderman Professor Michael Mainelli was last night installed as Master of the World Traders. 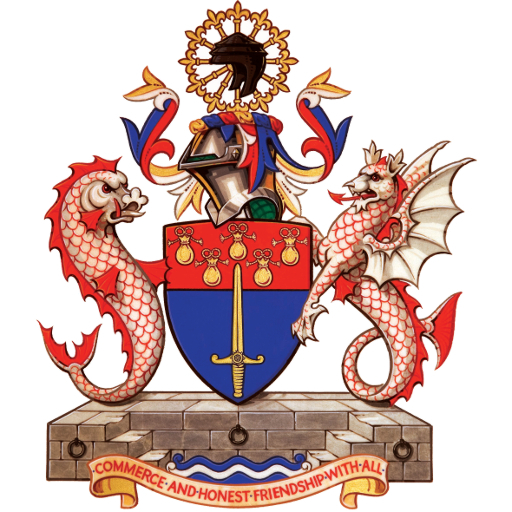 In the stunning setting of Drapers’ Hall, Michael, who has served as Senior Warden for the last year, took over the role of Master from Robert Woodthorpe Browne, describing Robert’s year in office as “one of the best”. Michael Mainelli is very diverse in his expertise and interests: an accountant, securities professional, computing expert, management consultant, Alderman and Professor. He was educated at Harvard, Trinity College Dublin and gained his PhD at London School of Economics. He is an expert in blockchain and the Executive Chairman of Z/Yen Group. Dr Edwina Moreton OBE assumed the role of Senior Warden and Mr Peter Alvey became Junior Warden. The installation ceremony included a number of new Liverymen and Freemen from diverse professions and with varied nationalities. The World Traders were delighted to welcome Baroness Scotland to the Company as an Honorary Liveryman. Baroness Scotland gave 2015’s World Traders Tacitus Lecture on ‘Do We Need the City?‘ and it was a fitting tribute to her contribution that she should be given the honorary position. At the dinner that followed, Baroness Scotland spoke on the importance of trade to the Commonwealth and the key role that the Company plays in promoting good practice and openness. The beautiful setting of Drapers’ Hall was a wonderful location for one of the most high profile evenings in the World Traders calendar which included among its guests His Excellency Lieutenant General The Rt Hon Sir Jerry Mataparae GNZM, QSO, KStJ, High Commissioner for New Zealand and Lady Janine Mataparae. Michael’s year promises to be full of interesting events, focused heavily on technology and with an exciting Tacitus Lecture from Dr Nathan Myhrvold, formerly the Chief Technology Officer at Microsoft and the principal author of Modernist Cuisine.